Carpal tunnel syndrome is associated with burning pain, tingling or numb feelings in the hand or fingers. The patient will typically wake at night with the need to shake the hand to relieve the symptoms. As the condition progresses, the hand may become swollen and numb during the night. The pain may also shoot from the hand to the wrist, forearm, and sometimes extend to the shoulder, neck, and chest. Difficulty may be experienced in clenching the fist or grasping small objects. The affected hand may develop dry skin and the fingernails may deteriorate. The cause of carpal tunnel syndrome is generally related to over-use of the hands and may be related to work (e.g. data entry operators, musicians, meat cutters) or to sporting activities. Vitamin B6 deficiency has also been associated with the symptoms of carpal tunnel syndrome. Treatment usually includes rest, cold compresses, and refraining from using the affected area. Devil’s claw and white willow bark have traditionally been used to relieve pain, and may be of assistance in the treatment of carpal tunnel syndrome. Opening and closing your fist a dozen or more times is a way to help relieve pain – do this throughout the day. 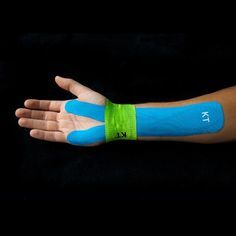 A physiotherapist will often splint the affected wrist to help minimise the pain of carpal tunnel syndrome, as well as giving you exercises to try to reduce the pressure on the affected nerve. Your doctor may give you treatments to help reduce the swelling and pain. You can help yourself by giving your hand as much rest as possible. Any repetitive movements, like typing on a computer, can make it worse, so consult your physiotherapist about your daily activities. Remember, though, that carpal tunnel syndrome needs treatment from the appropriate health professional if it’s to resolve – it won’t go away on its own. Exercises that strengthen the hand and wrist can be useful in preventing over-use injuries. Warm up exercises before tackling your work will help – your physiotherapist can help with these.